A two-year-old boy, with a critical kidney problem, was battling for life. Surrounded by tearful parents and relatives, the boy was on ventilator support and the medical technician was injecting him with emergency medication. Time: 6.40pm. Date: May 15, 2018. 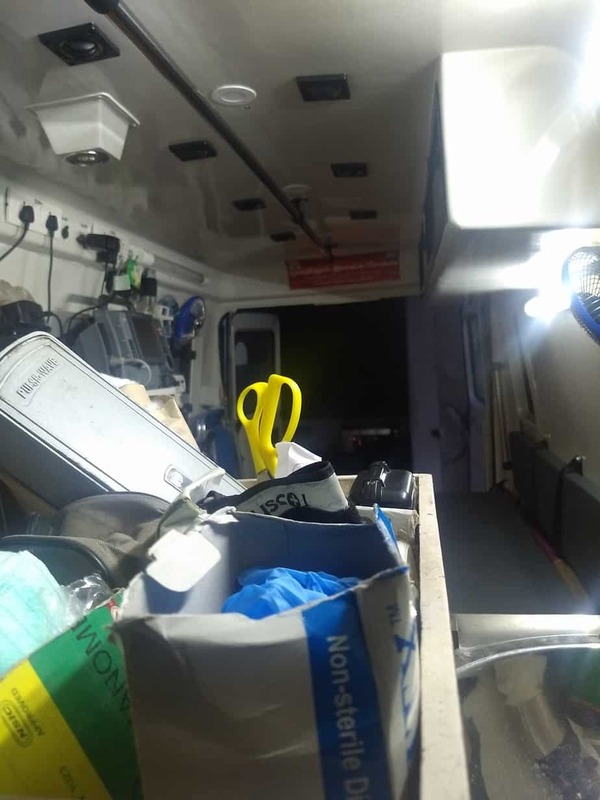 Venue: Inside the 108 ambulance on Mount Road. 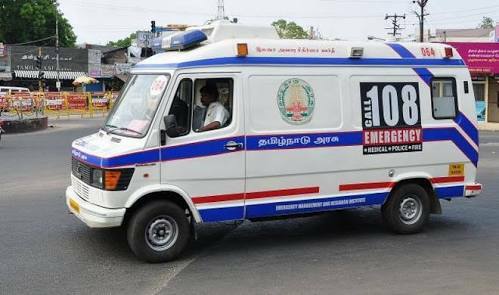 Neither the worried faces of the ambulance crew nor its piercing long sirens had moved motorists to make way for the emergency service vehicle on the busy Mount Road on 15 May. The pilot of the ambulance, Chandru J, switched to the short, pulse-like siren that is used during emergencies, but in vain. (Three type of sirens are used in ambulances: a long shrill one to reach far, especially on highways; short heartbeat-like alarm to indicate emergencies and a moderate piping one for non-emergency cases. Eventually, a traffic policeman stationed near the Greams Road signal, stopped traffic to pave the way for the ambulance, a temporary respite for the crew and family. This is one of many heart rending scenes encountered by the ambulance crew consisting of a pilot and an emergency medical technician. Witnessing death at close counters, managing the distress and emotional turmoil of the family members and battling indifference and negligence of hospital authorities — their job has very little to rejoice at, but for the contentment of saving lives. During the three-hour journey inside the 108 Ambulance service from Directorate of Medical and Rural Health Services (DMS), I learnt about the insensitivity of citizens and challenges faced by the crew. When the customer care centre at the 108 ambulance service in DMS received a call about a case, we headed off to St Isabel’s hospital. The two-year-old boy had had two cardiac arrests, and had shortness of breath and swelling in the stomach. 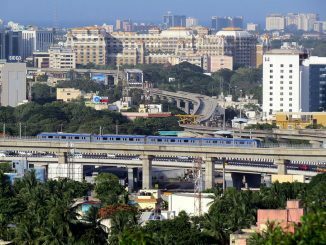 It was a roller coaster ride, in peak evening traffic to shift him from St Isabel’s hospital in Mylapore to the Institute of Child Health (ICH) and Hospital for Children in Egmore, for better treatment. As the vehicle zoomed towards ICH, the pilot remarked that the general public have turned aloof and insensitive to those in pain. “They don’t realise that every second matters in saving a life,” Chandru said with a deadpan expression. Besides non-cooperation from the general public, Chandru says they also come across complete lack of sympathy from hospital staff and doctors. Only a few hospitals maintain a separate bay for ambulance parking, they say. “There was an instance where the security personnel of a renowned hospital didn’t let us park behind the doctor’s car. That was the only space available and the patient inside, who had met with an accident, was fighting for his life. We were shocked,” said an ambulance technician at the DMS, wishing to be anonymous. Before reaching the hospital, the crew has to brief the hospital staff about the condition of the patient, so that they are ready with the necessary equipment. However, the response from government hospitals is often too little or too late or both. In case the concerned doctors and facilities are not available, it is mandatory to stabilise the patient before transferring them to another hospital. But the mandate is not followed all the time. “A senior doctor at the Rajiv Gandhi GH asked us to transfer a patient, whose pulse and saturation levels were fluctuating. I pleaded him to treat the patient, who was hit by an auto and had serious fractures. But the doctor had just given a drug that kept his pulse running for ten minutes. I saw him die on the way back to the ambulance,” grieved the technician. Often the sense of urgency is missing among the employees at the hospitals. “A multi-organ failure patient who required ventilator support was kept waiting for forty minutes at Rajiv Gandhi GH. By the time he was taken into the ward, he gave up the fight for his life. It is the negligence that killed him,” the technician said, in a rather emotional tone. Not just as assistants, Emergency Medical Technicians (EMT) in ambulances have often taken over over the role of doctors, especially to deliver babies. Their stories felt like the labor scene from 3-idiots movie, where Aamir Khan helped deliver a baby with no electricity and little equipment on hand. N Nagendran, who has been an EMT for about nine years, has performed four deliveries on the road, and he recalls them vividly. “It was in 2008. A pregnant woman from Avadi was in labor and the baby had nuchal chord (baby’s umbilical chord was wrapped around the neck). We were taking the patient to Kilpauk Medical Hospital, which is more than an hour’s drive from where we were. A kilometre before the hospital, I realised that her condition was getting critical,” said Nagendran. From convincing the family to accumulating the kit to alerting the pilot, the initial steps were done in a matter of minutes. “It is a bit different from the movies since I was trained. Yet, I was hyperventilating – after all, it is about saving two lives. We pulled over to the side of the road and I delivered the baby,” Nagendran said, as the moment lies fresh in his mind. The pulse and robust cry of the newborn boy was a big relief. “It remains the best moment of my life,” he said, with a smile. His heroic act earned him the best EMT award from the Tamil Nadu government. “Despite driving so fast, we couldn’t save her. Her condition was critical. The image of the mourning husband still flashes before my eyes,” said Chandru, in a sad tone. There are a gamut of factors that have to come together to save a life: nature of the emergency, timely arrival of the ambulance, admission to an efficient hospital and proper treatment. “We cannot admit patients in a private hospital, unless a family member asks us to. In the case of lone victims, we follow the protocol of taking them to government hospitals, as private hospitals will usually not take in critical cases,” explained Nagendran. However, the ambulance crew is at the receiving end of a disproportionate amount of the blame, if an emergency turns into a fatality. Family members of the deceased, and other locals staged a protest at Sriperumbudur against the ambulance service. “A 58-year-old man suffered a cardiac arrest and within fifteen minutes, we arrived the spot that was 14 km away. The nearest hospital was only 19 km away. He died after being admitted to the hospital, We did our best” said a medical technician, adding that the cardiac arrest was probably a severe one.